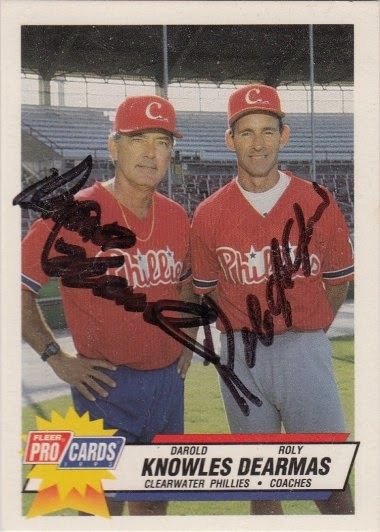 Roly signed a 1993 Fleer Pro Cards card #2700. 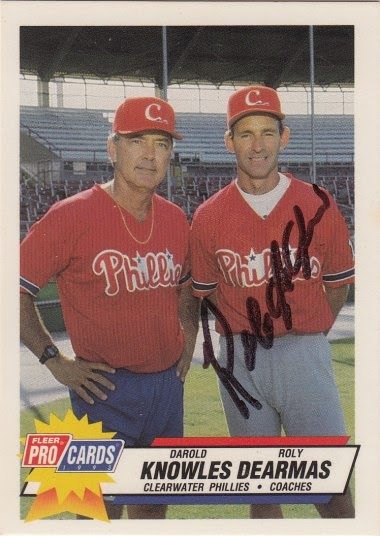 Two days later, I had Darold Knowles sign the card when he was signing autographs for free at the Tampa Bay Rays Fan Fest at Tropicana Field in St. Petersburg, Florida. It was actually my second time getting Darold's autograph. I just wanted it to complete the card.